The conventional project development process proceeds from plan to capital construction over a number of years, during which momentum and funding for the project may fizzle out. From a project's conceptualization to its actual implementation, a lot can change in terms of political will, citizen involvement, and prevailing city policies. 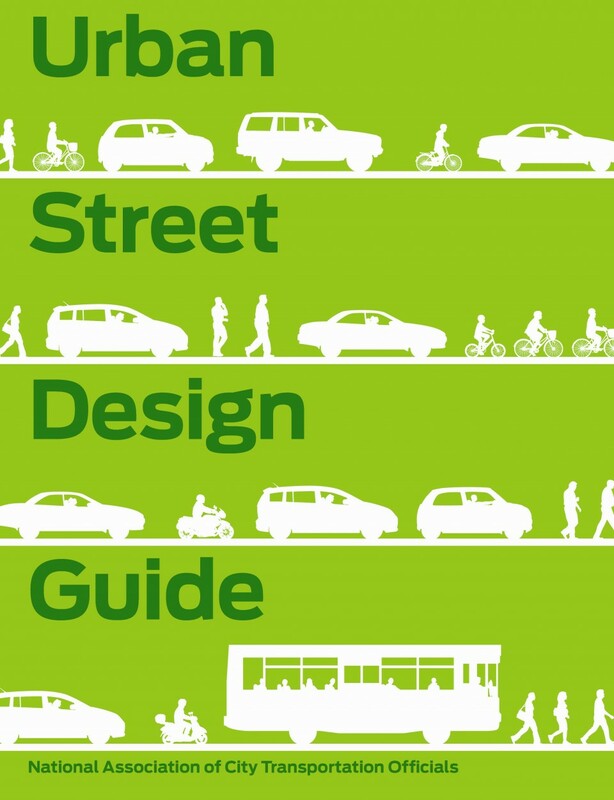 While many of these processes are designed to assess and evaluate the potential impacts of a project, small scale, interim changes - wider sidewalks, public plazas, street seating can deliver results to communities more quickly. Interim design strategies allow cities to assess the impacts of their intended project in real time and realize their benefits faster than typical processes allow. 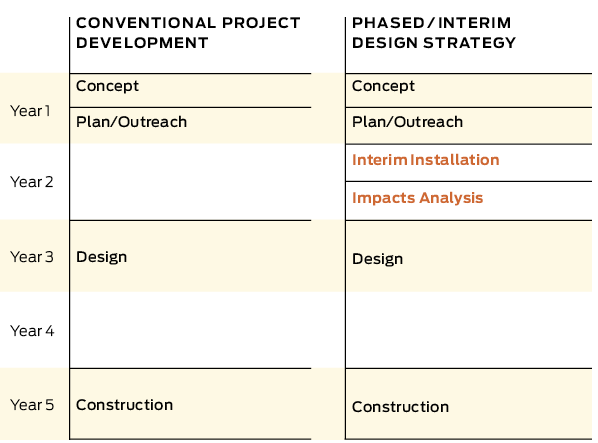 While a majority of these interim designs go on to become full-scale capital projects, some are altered or redesigned in the process based on how they perform in real time. This results in a better final product and saves on future expenditures and improvements that need to be made in revision. While interim design strategies can be effective and instrumental towards realizing certain projects, they may not be appropriate at all locations nor for all communities. Cities should assess how an interim design will be received by local stakeholders in order to avoid derailing a project that might have been better received in its capital phase. While many cities have branded the interim design as a pilot or test phase for a project, others view the design as equivalent to a permanent reconstruction. The level of permanence depends on the individual project, but should always be communicated at the outset.